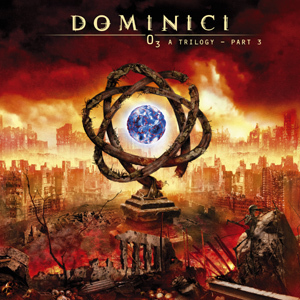 The third installment to Dominci's "O3: A Trilogy" will be released in April via Inside Out Music. Check out the cover art above. This page contains a single entry by Skadz published on February 8, 2008 11:34 AM. Article about Forsaken Video was the previous entry in this blog. True Symphonic Rockestra coming in March is the next entry in this blog.